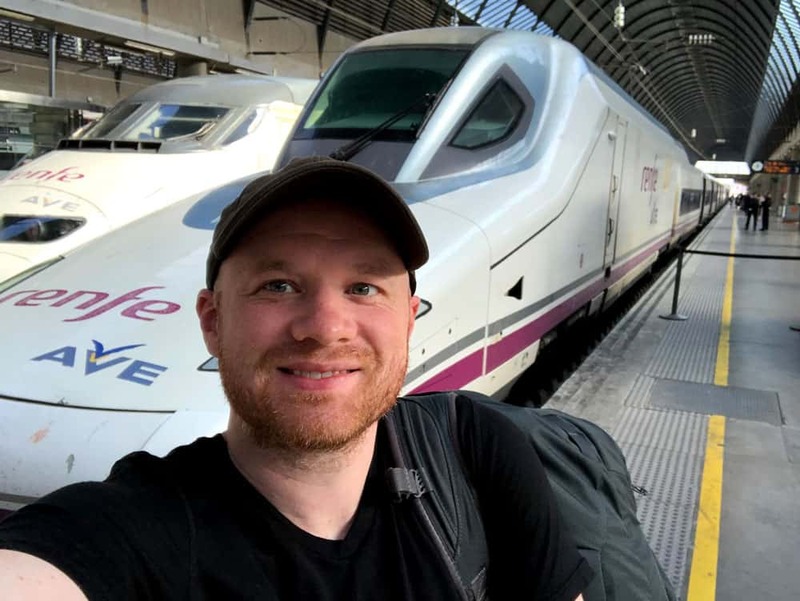 How to travel Spain by train — Tips for buying Spanish train tickets and advice for navigating Spain by rail. 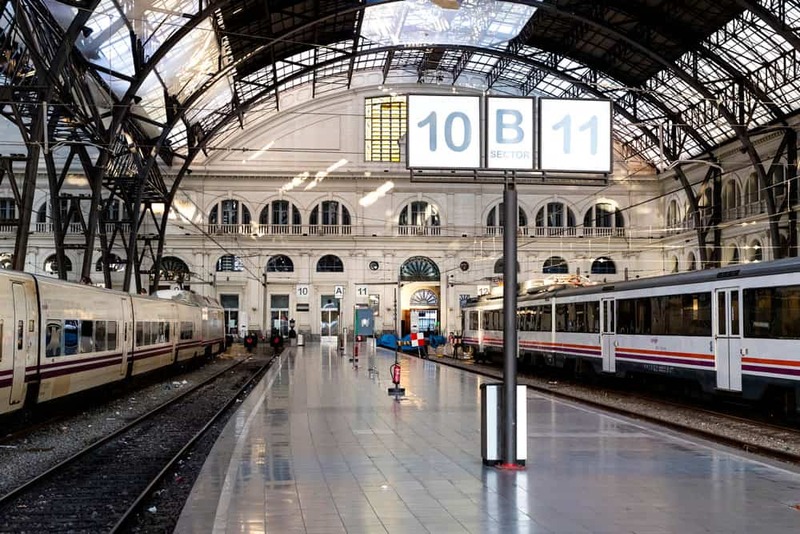 Spain is well-connected by rail so you can easily get just about anywhere quickly and fairly inexpensively. 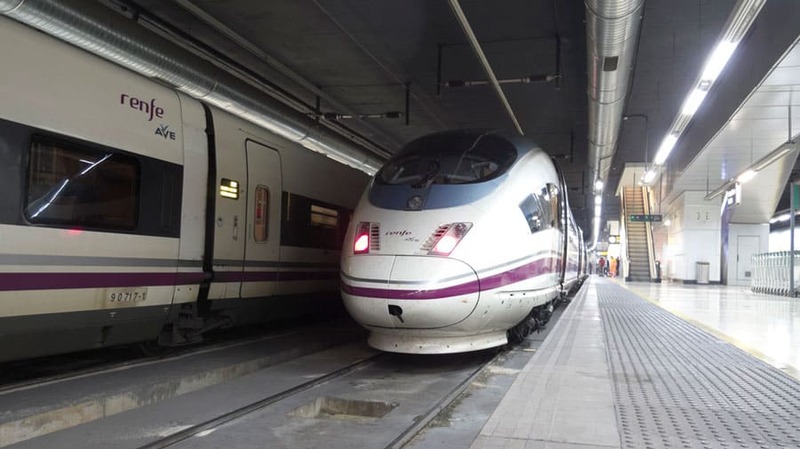 Luckily for travelers, Spain’s rail network has improved immensely over the past few years and its high-speed AVE trains now connect Spain’s major cities at speeds over 180mph. But, of course, it still has a few quirks. In this Spain Train Guide, we’ll tell you everything you need to know about traveling Spain by train — from navigating the system to buying train tickets for the cheapest price. There are a number of ways to buy Spanish train tickets but it’s not always super straightforward. Keep reading and we’ll walk you through the process. Below are the various ways to buy train tickets for Spain and we’ve tried to call out the common quirks of each method. Omio: Omio is a search engine that lets you compare and book trains (plus buses & flights) anywhere in Europe. 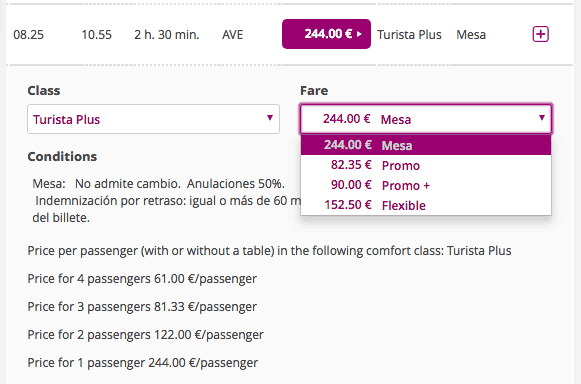 It lets you easily book tickets with your credit card at essentially the same prices as Spain’s Railways website. Additionally, Omio searches routes for multiple rail services across Europe so it’s great for international trips (since it can easily combine rail journeys of multiple countries). TrainLine: TrainLine is a third-party booking site that connects directly to Spain’s National Rail Network (renfe.com) and it gives you the same prices you’d find there (i.e. they don’t charge extra fees). They also take international credit card payments and lets you pick up your tickets at the train station or print your own tickets. Additionally, TrainLine searches routes for multiple rail services across Europe so it’s great for international trips (since it can easily combine rail journeys of multiple countries). RailEurope.com: Rail Europe is the official North American distributor of Spanish rail tickets so payments and booking instructions are hassle-free for North Americans. The website is user-friendly and you get the benefit of local English-speaking customer support if you have an issue and you can pay in USD. They also usually offer a print-at-home option or the ability to collect tickets at the station. Rail Europe doesn’t always find the cheapest tickets so be sure to shop around to make sure you’re getting the best price. 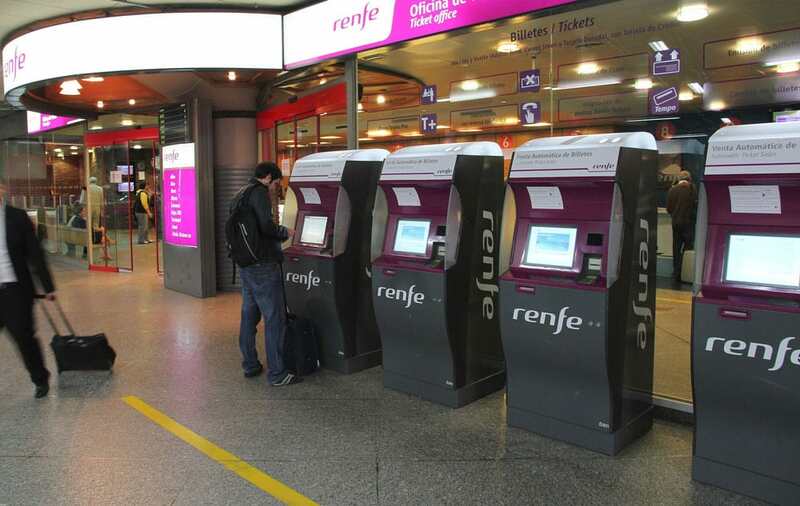 RENFE (Spanish Railways): The National Spanish Railway system is called RENFE and anyone is allowed to buy tickets from renfe.com. Like most national rail sites, renfe.com suffers from weird translation issues and sometimes it won’t accept foreign credit cards. When I tried booking I found that the website was only partially translated into English and it would randomly switch to Spanish. Additionally, it’s confusing when you enter your billing address because it’s in the Spanish format. So, we suggest sticking to the other methods outlined above. There are three main types of ticket fares available — each ticket class is available for both first class (Turista Plus) and second class (Turista) tickets. There is also a Preferente class that’s first class + a meal. Promo: Promo is the cheapest ticket available but it’s also non-refundable — so you’re out of luck if you miss your train or need to cancel your ticket. Promo+: Promo+ is semi-flexible so it’s a bit more expensive but you’ll get a 70% refund if you need to cancel tickets. Flexible: Flexible is the most expensive ticket but you get a 95% refund should you need to cancel. Mesa ticket is good for four people. AVE and long-distance trains often offer up to a 60% discount for groups who buy four seats together — this is called a Mesa fare (Mesa means table in Spanish). You have to buy the entire set of four seats but this is usually even a good deal for groups of three since the group still saves money by purchasing the block of four seats. Book online and collect your tickets at the self-help machines. Tickets purchased online can be collected in a few different ways. Most of the time you’re given multiple methods of collecting your tickets but double check as things seem to randomly change. Print-At-Home Tickets: You’ll often be sent a PDF that you print at home and show to the conductor on the train when he checks tickets. Smartphone: You can save the PDF ticket to your phone and they can scan it from there. We recommend saving it to your iPhone’s Passbook app. Pick Up At Station: Use your booking confirmation number to collect your tickets at the train station. This isn’t always an option. DO I NEED TO BUY SPANISH TRAIN TICKETS IN ADVANCE? Short answer — Yes. It’s best to book early if you want to save money on your train tickets. This mainly applies to Spain’s AVE (Alta Velocidad Española) high-speed trains and most medium/long distance trains. You’re able to book tickets about two to three months before the departure date — it randomly fluctuates so check back in a few days if you’re not finding many/any results. The longer you wait the more you’ll pay — a ticket purchased day-of will cost around 3x a ticket purchased two months early. However, local/short distance trains don’t need to be booked early as the prices are fixed. 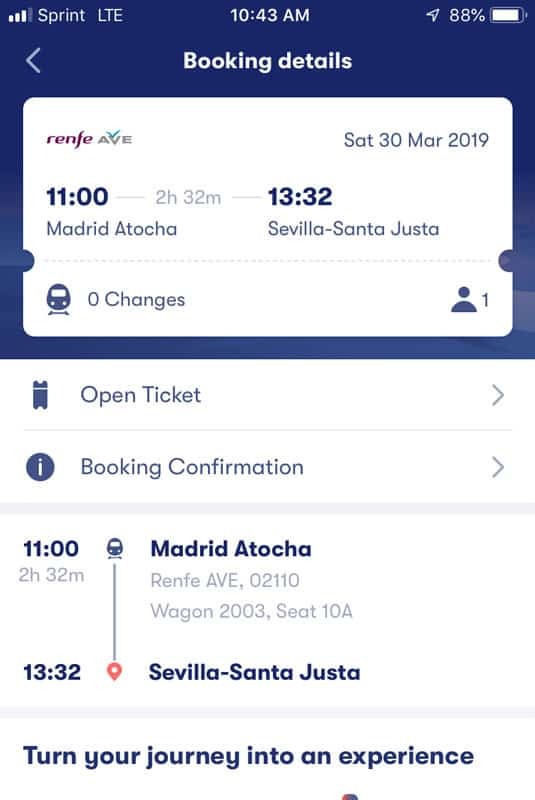 One interesting thing that Renfe offers is compensation for delayed/late arrivals on all high speed and long-distance trains — and it doesn’t matter what caused the delay. Each train service has different refund policies but the high-speed AVE trains will refund 50% if the train is over 15 minutes late and 100% if the train is over 30 minutes late. You can collect your refund at the train station or you can trade in your credit + receive a 20% bonus if you purchase a future ticket. Unlike most of Europe, there is never a need to validate your Spanish train tickets — regardless of what kind of ticket it is. On high-speed trains, your ticket is only good for the specific time printed on your ticket. You’ll also be given an assigned seat. On slower trains, you’ll just show the conductor your ticket when they check tickets on the train. We recommend getting to the train station about 20 minutes before the train departs so you can find your platform. On high-speed trains, you’ll need to go through security but it should only add an extra few minutes to your journey. The cheapest way to travel via train in Spain is by purchasing advanced tickets. It virtually every situation this will be more cost-effective than using a Eurail pass. However, tickets are expensive if you buy them only a few days in advance so it usually makes more sense, both financial and practical, to use a rail pass if you’re a spontaneous traveler — especially when using high-speed trains. Check out Rail Europe for Eurail passes. 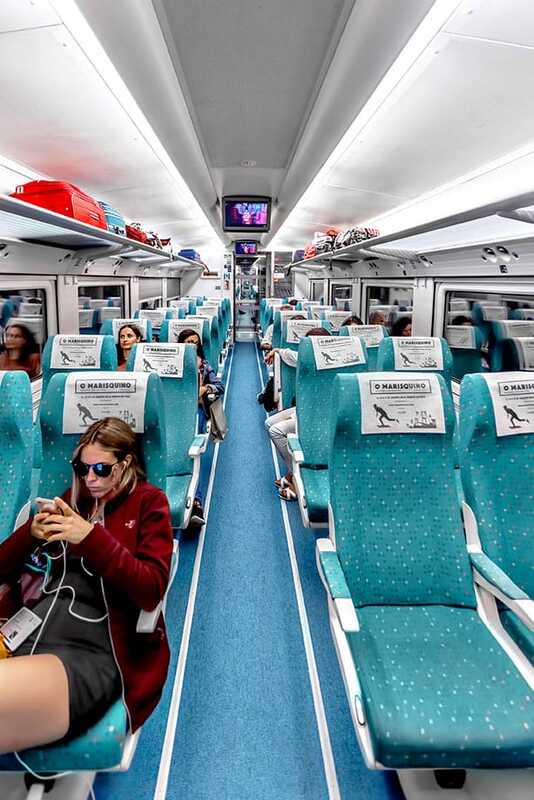 High-speed and long-distance trains in Spain require a reservation when using a Eurail pass — the reservation will cost €10-€15/seat. Tip: Always look to see the price of a normal ticket costs because on some routes a normal ticket will cost less than the Eurail reservation fee. Also, You must make the reservation before you get on the train and some routes limit the number of rail pass holders so it’s wise to book your reservation early. Most of the time you need to make the reservation a minimum of one hour before departure but we suggest doing it as early as you can. RailEurope.com lets you book your reservation online through their platform. Simply look for a button that says “I Have A Railpass” and follow the prompts. Security Screening: In Spain, all high-speed trains require you to screen your bags via xray. It normally only takes a few minutes. Self-Service Machines Are In English: Don’t worry if you don’t speak Spanish because the ticket machines (and train station signs) are all in English. Get To The Train Station Early: Train stations are usually fairly easy to navigate but they can be a little confusing. 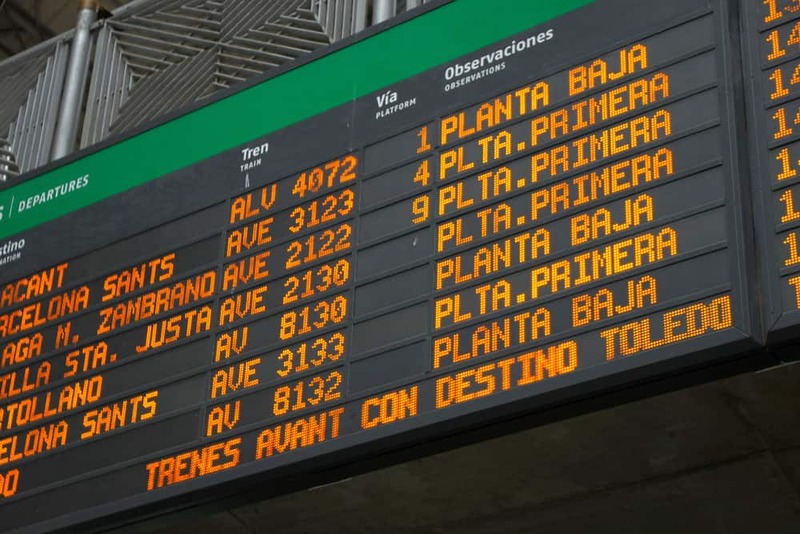 Know Train Station Names: Most large cities have multiple train stations (Madrid and Barcelona both have two) so this often creates confusion. Double check to make sure you have the right station — especially when booking your ticket. Sit back, relax, and enjoy your time in Spain. Best Hostels in Barcelona: Our favorite budget accommodation in Barcelona. Madrid Travel Guide: Tips for visiting Madrid. Best Hostels in Madrid: Our favorite budget accommodation in Madrid.